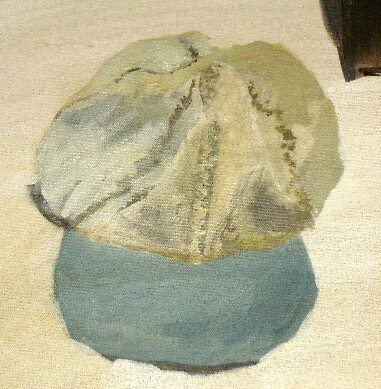 Went to class again tonight and brought out any object that we had with us to paint - so I chose my baseball cap. Acrylics frustrates me in that it dries too fast to blend into other colors. And then it hit me - acrylics is not about blending like I can with watercolor but about contrast and shapes. Take, for example, today's lunchtime sketch. I'd wanted to work on hands, so I started this quick sketch, which I hope to finish tomorrow. 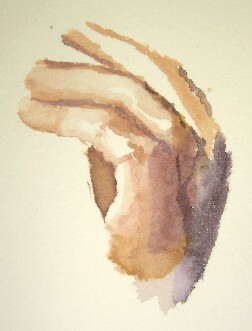 Note the blending that happens in the white and pink near the edge of the hand. That's easy to do with watercolor. Not so with acrylics. Instead, it's about shapes. 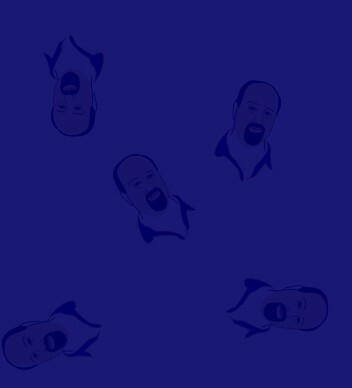 Get the shape. Paint the color. Use dry brush work if any blend is desired. But that's because it happens so fast. Contrast and color selection will set the mood and feel of the painting. I see a lot of allegory in that with life. The difference between blending versus the choice of bold, strong colors and shapes. In a way, that's kind of liberating. Give me strong paint, and a lot of it, and a wide brush. We're attracted to people who live life that way. We wish that we could be more like them. And yet we also fear that kind of starkness. Blending is like political correctness. It smoothes the rough edges and detracts from the strong shapes. It's nice. There's a place for both. Our instructor told us tonight that acrylics is all about knowing when to use water and in what amount. I get that. Water is for blending. 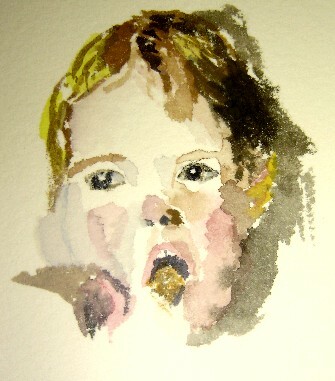 I painted this toddler yesterday in my lunchtime sketch. It's a kid eating oatmeal, but I didn't have time to finish it. (Hence, the missing spoon.) I like watercolor, and if I can figure it out, I think I'll like acrylics too. It will make me a different painter. Or at least make me express differently. Maybe with more boldness. And given a few places in my personal life at the moment, that could be a good thing.